Gary N. Grippo, D.P.M., F.A.C.F.A.S. Dr. Cancelliere was born in Italy and came to the United States at the age of 6. He graduated from the Ohio College of Podiatric Medicine in 2007. He completed a 3 year surgical residency at a Level II trauma center, and then attended a reconstructive foot surgery and wound healing fellowship at Beth Israel Deaconess Medical Center. He served as Clinical Instructor of Surgery at Harvard Medical School during that time. Dr. Cancelliere has traveled internationally to perform surgery and lecture about current topics in surgery. Specializing in reconstructive surgery and deformity correction of the Rearfoot and the Ankle, he is also extensively trained in Charcot Arthropathy corrective surgery as well as Forefoot surgery. He has also performed several peripheral nerve surgeries for conditions known as tarsal tunnel syndrome and Morton's neuroma. He has extensive experience in flat foot correction, both surgical and no surgical as well as bunion and hammertoe correction surgery. Dr. Cancelliere's primary goal for all his patients is to provide excellent outcomes through compassionate bedside, research proven, state of the art medicine and surgery of the foot and ankle. 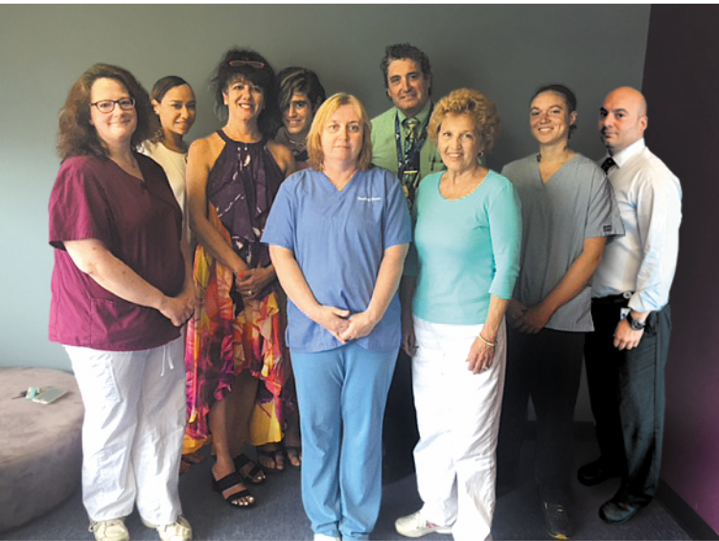 Dr. Cancelliere can be seen at all of our locations, Guilford, Orange, East Haven, Clinton and Higganum by appointment.